Last Tuesday I ran the Castlewellan Christmas Cracker, it was a run race with a bit of I difference; it was a pairs race, you had to cross the line with your partner. I was rather lucky to have a very good partner in the form of Andrew Christie, Andy is a member of the Scottish Triathlon Squad. The race was on and off road mainly off road, for 10 miles; basically the route sent you up every possible hill around or near Castlewellan lough. It was nothing that I was used to but was an extremely good hard work out which was all I was looking for, it was also a bonus that Andy and myself were running well and managed to finish 3rd overall and 1st Junior pair. Not bad for not being runners, but to be fair the triathletes stuck it to the runners as the top 6 finishers consisted of 3 Triathletes, the other being Bryan McCrystal, who was ½ of the 2nd pair. So if I come back to the title of the blog; ‘what a difference a year makes’, this time of year always seems to be a time of, out with the old and in with the new and reflection on the year past. Last year was a pretty eventfully one, best described as a bit of a roller coaster. This time last year I wasn’t even allowed to run never mind run a 10mile trail race. Even with my lack of running I still managed to achieve some good results, I managed to come 4th in the British Junior Champs with only 2 weeks of running in my legs; which qualified me to race at the European Junior Champs, as big a disappointment as it was a lot of valuable lessons were learnt, I also got my 1st Elite Win at the London Junior Elite Triathlon, and to top it off I got a top 10 finish in a Junior European Cup, with my 9th Place in Tisijauvarous, Hungary. Therefore I can still take some satisfaction from these results when they were achieved after being out of running for 8 ½ months. Next year is another big year, it will probably be my biggest so far, a year in which I will be trying to establish myself at the Olympic distance, and get some good solid results under my belt. It is obviously going to be tough to make the jump up to Senior racing but I do think that this distance may suit me better, and I am obviously in a much better shape at this time of the year than my previous two seasons in the sport. 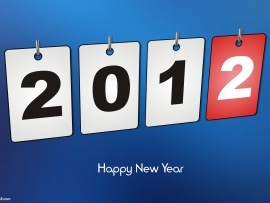 Looking forward to 2012 I wish everyone all the very best and lets make it a good one. I came home from uni on the 15th after I finished all my exams, it was due to my exams that I wasn’t able to attend the Triathlon Ireland warm weather training camp in Aguilas Spain, which would have been another great opportunity if it was anything like my time away last year. My plan for Christmas was to keep up my training as much as possible but also get some quality time with my family. December 2009 was the last time I had done a shortcourse 1500 in which I set my PB at 17.03.28 . Therefore my main aim was to at least go under 17mins but preferably aim for 16.45. With my time I was invited to race the invitation only 800m FC the next day, I decided to give it a shot. Not a great swim, very badly paced. I went a 8.54 two seconds slower than the 1st 800 of my 1500 the day before. I did manage to go out in the 1st 400m in a 4.19 which is actually my current 400m PB but it went downhill from there. Never the less it was a good opportunity to catch up with a lot of old friends and see what I was missing in the world of swimming, it also cemented the fact that I made a great decision to move into Triathlon. It was a great experience and I have learnt a lot from it that I can take into my fast approaching race season. Last Saturday was Scottish University Cross-Country Championships, my 1st cross-country in two years and only my 4th ever. I went in to the race with confidence in my running but not sure how well I would do, the surface was very difficult, it was basically just a famer’s field which was extremely rutted with tractor tyres. Other than that it was very flat but not fast due to the surface. It was a 4lap course totalling 10.8km, my plan before the race was to build into the race and try to pick people of as I went through the race. It hind sight I didn’t race hard enough, I actually feel I underestimated where my running is at the moment, I ran the first two laps fairly comfortable (maybe too comfortable) and then lifted the pace at the start of lap three. I feel I should have at least lifted it from the start of the second lap, but I had made a pre race plan and I stuck to it. I was still extremely pleased with the outcome, I ended up finishing 5th and in doing so have qualified to compete in the Great Edinburgh Cross-Country Run as part of the Scottish University Team. Mo Farah won it last year so hopefully more big names will be racing this time as it would be an amazing experience to run in the same race as guys of that calibre. So much for saying that I would try and keep this up to date, aw well maybe next time. So the last thing I did was Scottish Aquathon Champs, in Portobello, and the sea was ridiculously cold, I managed to come third which I was pretty pleased with, I had a pretty good swim (750), infact it was my first ever sea swim race, something I will look forward to doing again as I loved the start, the advantage of long legs when running into the sea. This gave me a great start and allowed me to control the swim, I exited along with two other British juniors, we ran the whole run together (5km) but on the final 800m I just didn’t have that edge and finished third, which I was happy with as I still hadn’t started back to training and legs were stiff after the 10km the weekend before. It has been a while since I updated this but just with getting back over to Uni in Stirling and settling in to my new house it has just took up a bit of time, but I have finally got around to it tonight. Just before I headed back over here I competed in my last triathlon of the season at Newtonabbey (Stenaline Triathlon) two years ago this was my 1st ever triathlon when I was just a swimmer. Back then I got my bike on the Friday, fell off it a few times on the Saturday getting used to clipless pedals and competed in the Triathlon on the Sunday, so I was a complete novice at it back then. I swan in swim jammer shorts, and put on a cycling top in transition, put socks on and put my bike shoes on in transition, all the usual 1st timer stuff. I came 11th overall 1st junior and in a time of 1.11.03 where as this year I came 2nd overall 1st junior and in a time of 0.59.51. Over 11mins faster is not a bad improvement, but unfortunately I wasn’t able to get the win. Brian Campbell (former Commonwealth Games Triathlete) was just too strong for me on the run, so I had to settle for 2nd. I was still very pleased with my performance on the day and not a bad way to wrap up the season, and a good marker to see where I have came from in two years. I love racing and being competitive, so I ended up entering the Stirling 10km when I realised it was on when I was back over. I wanted to use it as a benchmark of where I was before my winter training over 10km distance especially when I didn’t get the chance to do the run at the Dublin City triathlon due to my puncture. Lets just say I didn’t have the best preparation for the race as it was at the very end of Fresher’s week which involved a lot of late nights and also I was on my 2weeks off training as it was the end of my season. This didn’t bother me as it was really just a bit of fun and very opportunistic the way it came about. I managed to do it in a time of 33.46 which I was very pleased with as my aim before hand was to go sub 34mins. I am really glad that I got a 10km fitted in before next season and lets me know where I am and helps me to create realistic aims for this forthcoming season moving into Olympic distance. I was also pleasantly surprised to find out that I managed to come 2nd Junior which got me abit of prize money which is always nice. My love for racing has also caused me to enter Scottish Aquathon Champs this weekend, so that will also give me a chance to do another pressure free race for fun. I will try and keep on top of my blog and update it more consistently in the near future. A race report for half a race. The Dublin City Triathlon, my first ever Olympic distance … didn’t exactly go to plan. I decided I would enter an Olympic distance at the end of this season as it was my last year a Junior and I wanted to try one to see what I was going to be up against next year, and to have a good idea what I was going to have to train for over the winter. So Dublin Tri it was. An early start to get down and register before hand, didn’t really mind because I just slept the whole way down in the car (thanks dad J). Down and registered and got probably the best race pack I have ever got, it was completely packed. The only thing it didn’t have was a t-shirt. For once it was a finisher t-shirt so you got it at the finish line. Imagine that, in my first ever triathlon that I didn’t finish, but yeah awesome race pack. Anyway on to the race, I was in the 1st wave of the swim, while setting up transition all wave 1 where in on the same rack, and I think I was the only non-TT bike on the rack, some real nice bike bling indeed. I knew I needed a good swim to give me the advantage I would need on the bike. I am currently really pleased with my biking at the minute but still knew it would be my weakness. (thanks to Kevin from BCC for fixing my position to give me every advantage). I took the swim fairly steady because I didn’t really know how I would cope with the distance and also on the way back my goggles had fogged up and the sun was in my eyes (bad goggle choice) I didn’t really have a clue where I was going I just tried to stay on the right hand side until I could see the buoy again this really slowed me down. I still managed to be first out of the water and onto the bike, I got caught at the turnaround at the far end of the first lap, it didn’t help that it want marshalled and I cycled past the turnaround for 50m until one marshal screamed and chased after me, it didn’t cost me that much but it was extra time none the less. It nearly helped that I got passed as I definitely went faster; I was able to keep a legal distance and hold the same pace, knowing that I was still feeling comfortable and ready for my 1st 10km off a bike. I was pleased with how my first Olympic distance was panning out, I wasn’t losing as much on the bike as I thought I might and then my lucky ran out! Ppsssssssssss…. PUNCTURED! I heard it first and then I thought I would still be ok, it didn’t feel that soft, but it was it just kept going down on till I felt the rim slide, I knew my day was over. There was nothing I could do. It was quite strange as the night before I had came across an old 220 magazine and flicked through it, I read Vicky Holland’s column and it was all about how she punctured for the first time in a race at Dunkirk French GP. I was gutted I really wanted to see how I would cope with the 10km run at the end, it will just have to wait to the next time. All I could do now was follow the course back pushing the bike, thankfully I got offered a lift back part of the way which saved my bare feet a bit, it was a great help. So I have still never done a full Olympic distance, but there will be plenty more in the future, and everything happens for a reason so it just wasn’t meant to be. 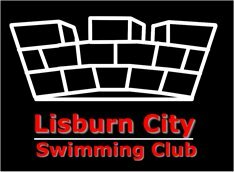 I was glad I entered Newtownabbey Sprint at the last minute which is on this Sunday, I didn’t want to end my season on a DNF, well that’s hoping that nothing goes wrong and I am able to finish on Sunday. Newtownabbey tri is quite significant, two years ago it was my 1st ever triathlon, I got a bike on the Friday, fell off it a few times getting used to clipless peddles on the Saturday and then did the triathlon on the Sunday, I ended up coming 1st junior and 8th over all. So it will be a good marker for how much I have improved in two years. Lord and Lady of the Lake. This was the 2nd year in a row that I took part in the Lord and Lady of Lake event at Camlough/Crooked Lake. It’s a 2.6km swim from one end of the lake to the other, first man and women would be crown Lord and Lady of the lake. This was the second year in the row that I had taken part in it, and last year I won it. This year was different I wasn’t just a nobody that just turned up, everyone now knew who I was, so there was a bit more pressure on this year. Thankfully I had a good race and retained my title; unfortunately I went slightly slower than my time last year. Last year I went 30mins flat but this year I went 30mins 21secs. The aim was to break the 30mins barrier, but never mind, with it being such a long point to point swim it could just have been due to the line I took or anything. Aileen also competed this year so that was my main competition, my summer training partner; I couldn’t let her get me. Thankfully I was able to hold her off and what a swim she had, 31.40 and 2nd overall she lifted the Lady of the Lake title. It was a class experience, one which I will hopefully be doing next year again. Crooked Lake is an amazing venue such a beautiful lake and especially when the race started at 7pm and the sun was starting to drop. 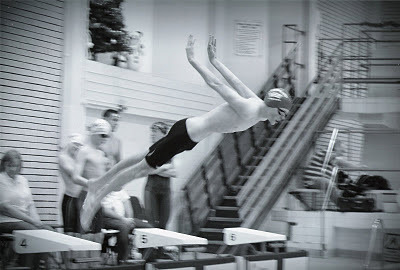 Tiszaujvaros Junior European Cup, Hungary. Last weekend the race organisers messed about with the format of the junior race and used it as a test event for future races. Instead of the usual junior sprint distance of 750m swim, 20km bike, and 5km run, this race was made up of a heat and a final and added up to the full sprint distance. So the heat consisted of a 500m swim, 13.2km bike, 3.2km run. And the final was 250m swim, 6.8 bike, 1.8 run. There were two heats of approx 35 guys in each and the top ten in each heat progressed to the final as well as the 5 fasted losers. So 25 in total in the final. In the heat I had a really good swim exiting 4th and on the bike in the lead pack, my group was working really well, as there was only 7 or 8 of us we knew if we worked together we would all make the final. We managed not to get caught going into T2. Coming up to the dismount line I was in a good position and about to get off as smoothly as possible and on to the run and I knew I was in a good position for qualifying for the final later in the day. But I thought I might just make things I wee bit more dramatic … no it was definitely not intentional, I ended up crashing off the bike at the dismount line. I was dismounting as normal with my feet on top of the bike shoes, only when I swung my right leg over my saddle my left shoe unclipped from the pedal and I was just thrown over the handle bars landing hard on my head and right shoulder. Thank goodness for my helmet it saved me losing a lot of skin on my face and protecting my head. I was up on my feet as soon as I hit the ground and just had to grab my bike and run in to transition I knew I had lost positions so I needed a good run to make sure I was in that final. If anything the adrenaline helped a lot, and I managed to finish in a solid 6th. In the final – main objective achieved, not quite as planned but I still did it. I then had just over two hours until the final. I got cleaned up got food into me and thanks to Bryan he got my bike fixed up and ready for final. The final was a pontoon start and you choose your spots according to your start number, I thought I was going to get an awful position because my start number was the second last. Fortunately there was one spot at the far left, similar to where I had started in the heats, it was perfect, I had a good dive and got clean water - another really good swim exiting in 6th. Thankfully I am starting to do my swimming a bit of justice. Running towards transition Gav shouted that there was a gap behind me so I knew I couldn’t afford to lose the front pack after doing the hard work in the swim, got a good T1 and got away with the lead pack. It was the fastest bike leg I had ever been on, with a few race favourites missing in the pack the pressure was on to try and stay away but unfortunately as the swim was only 250m the gap was not huge and the larger chase pack worked well and closed the gap. Into T2 I was a bit nervous because of the earlier crash and probably didn’t go in as fast as usual, but this time much more safely. I managed to have a good solid run and finished in 9th. I was incredibly happy with my performance as I am really lacking in run speed at the minute due to being out for so long and only just building my running up not focusing on speed so I really surprised myself with a very respectful 1.8km run which I thought would have been my downfall. The whole weekend was an awesome experience and I learnt so much from Gavin, Bryan and Aileen, and really appreciated their help. Super happy to have achieved a top 10 finish in a Junior European Cup and I am really glad to have started to hit a bit of form at this latter part of the season. Last weekend I travelled over to London to compete in the Junior Mens Elite race at the Virgin Active London Triathlon, the largest triathlon in the world, it is just a constant flow of athletes all Saturday and Sunday. It is really an amazing sight with unbelievable organisation required. The Junior Elite race was a sprint distance with a bit of a difference; it had a slightly longer bike leg, 30km instead of the usual 20km. It was draft legal with a strong field consisting of the top Juniors in Britain. This season hasn’t exactly gone to plan; as it has been a bit of a struggle getting my running up to scratch after missing out on all of the winter training due to a stress fractures. In hind sight I wasn’t ready for the two Junior Elite races that I have done this season (European Championships and Echternach Junior European Cup) because I was trying to bring my running back up and that wasn’t there yet and the extra training load was affecting the other two disciplines. In both those races I got my hydration and nutrition before and during both the races very wrong resulting in very disappointing outcomes. I am pleased to say that going into the race on Sunday I was feeling really good in all three disciplines and went into the race with a lot of confidence. As the saying goes ‘third time lucky’ I managed to find my perfect medium of fluid intake as well and it paid off. The swim went really well and I felt really comfortable and strong swimming in a lead pack of 5 in my Sailfish G-Range suit which feels really natural to swim in. I exited the water joint 1st with the small pack of five guys with a small gap until the rest of the field. The pack was down to four going onto the bike after losing one guy in T1, and later another guy at the very start of the bike leg. For the first 8km I was in a breakaway of three, we were working well together but it just wasn’t possible to stay away as we were being chased down by a much larger chasing pack. We took our foot off the pedal and allowed ourselves to be caught by this larger pack to save energy. Once caught the pace dramatically slowed down as nobody wanted to work as most of the main contenders were all now in the front pack. Prior to the race my aim was to finish on the podium, when I got onto the run , I was in 3rd , a medal was within my grasp, but so was leaving with nothing as the other boys were breathing down my neck. I was determined to achieve what Id set out to do, and I concentrated on closing the gap on the two in front of me. The big difference at the London Tri compared to many Elite races is that it goes on at the same time as multiple age-group races so it is a constant battle to run though the competitors running in the other races. After the first 2.5km lap I had realised I was running well and gaining on the two in front of me. For the first time all season my running felt really strong , I knew I was capeable of closing the gap and running past the boys, they would have to lift their pace to keep up with me. At the final turn around point I was able to see that I had put distance between myself and second , at this stage wanting to hold on to first place so badly I just continued lifting the pace and In doing so managed to go over 40secs faster on the second lap of the run than I had on the first. I crossed the line first, 20 seconds ahead of my nearest competitor. 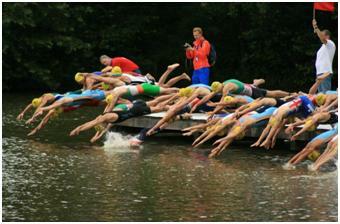 Echternach Junior European Triathlon Cup. My first Junior European Cup, have mixed emotions about it, it was a fabulous experience and I have taken a lot of positives from it, the only think is that it wasn’t the outcome that I was wishing for. I finished 29th but I believe I should have been much higher up, but unfortunately it didn’t all click together yet again, just gotta keep plugging away. I was actually pleased with my swim for once, I was still abit off the mark but its getting there, I was really high up going into the 1st buoy, my start position was 10 so I was at the right hand side of the pontoon, I was the fastest out of the 1st ten and went into the 1st buoy as the 1st inside man and had nowhere to go- it was a smash fest, I got pulled under when someone yanked my feet and when I came up got hit in the face and smacked my goggles off, I lost I few positions due to that and then it was hard to sight and swim comfortable when my goggles where hanging on my face and full of water, so I was extremely happy to still make front pack. The bike was pretty uneventful apart from being extremely sketchy, I don’t know how there wasn’t a crash. Managed to get into T2 safely and in the top 15, going onto the run and had a massive stitch because unlike the Europeans I took too much fluid on during the bike as I was conscious of the mistake I had made in Spain. When I took water on at the water station I ended up throwing everything up, I was sick four or five times, so that lost me a lot of time, and fell through the field. Once I was finished being sick I actually felt much better and was able to run properly on the 2nd lap of the run. I had to make up as many places as I could, I caught 8 people infont of me in 2km, but a little too late. So ended up pretty disappointed, I believe if I had run the whole run like I was able to on the last 2Km I would have had a good race but I just have to learn from it and focus on my next race. Next race I have is a domestic race; the Big Splash Triathlon in Portglenone in the morning, and then next weekend I travel over to London to compete in the Junior Elite London Triathlon at the Docklands. Hopefully everything should click together over in London and I can get a good result against the best Juniors in Britain. If anyone was to ask me what my favourite race is; I would have to say Athlone. I loved the race last year when I raced the Junior Europeans, (even though I crashed on the bike), its just a great course and the atmosphere is brilliant. One year on and it was now Irish Sprint Champs, I still felt rather sluggish and tired from my awful race the weekend before in Pontevedra (previous post) but really looking forward to it. I knew it was going to be really tough as it was going to be the best competition possible in Ireland. The start sheet proved it with the Elites racing in the form and Gavin, Bryan and Conor, as well as all of the top age-groupers. The main aim for the race was to get a bit of confidence back after the shocker the week before, to finish top Junior and have a good solid run. I was in the 1st of the sprint waves which was an incredibly strong wave. I had a good swim in my sailfish G-Range (picture above). 750m in a straight line is a very long way and the swim proved it, it just seemed to go on forever. I came out of the swim in 2nd with Conor on my feet so I knew if I could stay with him the whole way I would have a good race and that’s just what happened, we stayed together throughout the cycle, (a legal distance) but never too far from each other. I was really pleased with the bike leg, it was full on the whole way, a lot different than a draft legal race, I was pleased how I was able to hold my own against some pretty amazing TT bikes. On to the run I was still with Conor, but he raced into a lead coming out of transition putting distance between us. Since coming back from my 8 months off running I have been pleased how well my running has progressed, but I am still missing that zip and change of pace needed. During the run I tried to close the gap on Conor but couldn’t, it remained the same distance throughout the run, but I was very pleased with that in itself. Conor is running very well at the moment and to be able to run a similar sort of pace gave me a lot of confidence that my running is getting back to where it needs to be. I ended up coming 5th overall and 1st junior, by 9mins, which I was incredibly happy with. This has given me a great confidence boost going into my next challenge. My next challenge being a European Junior Cup in Echternach, Luxemburg next Sunday, so hopefully I can put in a real good performance and redeem myself after the Europeans. It will be a very strong field and a few countries are using it as a selection race for World Juniors including GB, so it will be a tough day at the office, but I can’t wait. European Junior Triathlon Championships, Pontevedra, Spain. Well what can I say… basically, it was a bit of a disaster! It is extremely frustrating, I worked so hard to get back from 8months off running to be ready for this and threw it away because of stupid mistakes. On the swim I chose a bad starting position which could be the reason for what had to follow, in the lead up to the race I had been advised to go as far left on the pontoon as this was the shortest line. When I was called onto the pontoon I did just that I went as far left as I could only to look up and notice that there was a large lane rope straight ahead in my direct line to the 1st buoy. This was because it was shallow during the junior girls before hand and they were able to stand up. Unfortunately once I had choosen my position I had to stick with it. I should have checked this out during my swim warm up but it never crossed my mind, a lesson learnt the hard way. I have been having problems with open water swimming and have put it down to not going out fast enough and then ending up in the fighting costing my vital time and coming out not doing my strong swimming any justice, for once I went out hard and it worked, I was pretty high up at the front of the pack, but then I hit the ropes I was forced to climb over, I had nowhere else to go. I was convinced I would get DSQ’ed but I had no choice, this cost me huge amounts of time, I lost even more time trying to get back across further up, by this stage I was well down and had lost so many positions. Unfortunately in open water swim the positions going into the 1st buoy aren’t very different than the positions leaving the water. T1 wasn’t great either I threw my hat and goggles and missed my box which I had to do unless I wanted a 15sec penalty, so sorting that out cost me more time. Due to the bad swim and T1 I missed the pack and it was a chasing game from there onwards. I was basically the only person working in my group and I was even making time on the group by myself lossing my group on most of the couners, I was really cycling strong for the first 3 out of the 4laps and them BOOM, I was gone! 4th lap I couldn’t doing anything more, it was so frustraing I had basically pulled a group upto within under 10sec of the lead group for three laps and I had nothing left to bridge that final gap. In my efforts I was so busy chasing that I wasn’t drinking enough and in 38*C temperatures that is a major major mistake. I went on to the run already zapped, but was determined to finish. I can truthfully only remember the 1st 800 meters of the 5km run, I was a goner, I was extremly dehydrated and had nothing left. Aileen Morrison told me that I probably ran(stumbled) 10km due to the fact that I was swaying from one side of the road to the other, I still don’t know how I finished. After the race I was rushed to the medical tent and received two IV drips, to get fluids and glucose into my system because I was in such a bad way. I was covered in bags of ice to try and get my core body temperature down. All this because I had a bad swim, forced to chase down the pack and most importantly of all I didn’t drink enough. They say that everything happens for a reason and I supose that there are many lessons to be learnt from this experience. I need to respect my body and nutrition is vitally important, I also need to check everything before the race, and I also still have a lot to do if I want to make a career out of Triathlon. Even though this went very wrong it has gave me the hunger to get where I want.